For too many Americans, the promise of equal opportunity remains elusive. In our country women don’t get hired or promoted in many companies the same way as men, particularly if they took time off to raise their kids. Employers sometimes look differently at older workers than younger ones. Underfunded rural or urban schools with crumbling walls and 1980s textbooks put kids at a disadvantage, whether they’re African American, white, or brown. Studies show that even with identical qualifications, resumes with more “African American sounding” names are less likely to be called for a job interview. Affirmative Action programs let business, government, and educational leaders act responsibly and flexibly to make sure everyone is treated fairly. 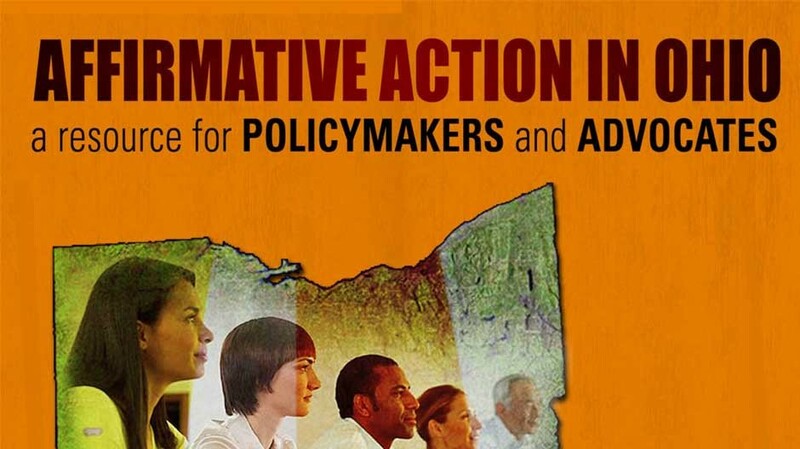 Affirmative action is a set of programs or polices designed to provide equal access and opportunity to disadvantaged groups, including people of color and women. Typical affirmative action initiatives include targeted outreach and recruitment efforts, the use of multiple criteria (including consideration of race and gender) in admissions and hiring, and targeted training programs. Research suggests that individual life chances are shaped by opportunity structures, the web of resources and influences such as good schools, safe neighborhoods, health care, and entry-level jobs that enhance or constrain our ability to succeed and excel.